One month later, I’m finally taking the time to breathe, and look back at this wonderful day of March 24 that I spent at the first edition of the Beauty Heroes Master Class. I got to immerse myself in the fabulous world of green beauty, listen to inspiring founders who are leading the way to a better beauty industry, and meet fellow clean beauty lovers. All of this in the gorgeous setting of Harmonia Marin (seriously guys, check it out). Dr Tiffany Lester was the Master of Ceremony and each of her contributions in-between speakers were powerful and insightful. I wanted to share with you my key takeaways from each presentation. Max and Tanja, founders of the holistic, purely organic max and me skincare collection radiate happiness and love. They flew all the way from Austria to be with us! And it was such a pleasure to listen to this dynamic duo talk about their product line and its specificities. It relies on high vibration ingredients, which purpose is to release tensions and blockages from the everyday life through skincare. They start with their knowledge of plants, their intuition and their senses (smell, touch…). Their I am the Light oil was included in our goodie bags. We did a little exercise, pouring a few drops in our palms, rubbing our hands, putting them on either side of the nose and “inhale joy, exhale fear”. It felt good, calming. Perfect way to start the day! Laurel has this kind of ‘peaceful strength’. She is at the same time very personable and very impressive! She knows a LOT about plants and science. She defines herself as the “founder, formulator, plant communicator, loving center and driving force” of Laurel Whole Plant Organics. Is it wildcrafted / wild harvested? Resource: solar, wind, water? Is it biodynamic? What do your senses tell you? Laurel believes in the power of the heart. She mentioned Emoto: this Japanese researcher claimed that human consciousness had an effect on the molecular structure of water. I basically wanted to become a botanist when she was done. Josh Rosebrook believes that the original nutrients needed by the body, skin and hair are found in nature. This approach led him to create his eponym brand and start his own clean formulations for skin and hair care. Josh is awesome, and funny, and smart, and also a really good speaker! He presented green beauty as a doorway. A doorway to…. Awareness – questioning what surrounds us, thinking for ourselves. If he ever writes an autobiography, Josh told us he would call it “Saved by the clarinet” (an instrument that helped him find the way to self love). I for one look forward to reading it! 5 Gyres fights against plastic pollution through science and education. Haley was here to share their message and inform us about plastic pollution. Believe it or not, recycling should be a last resort in your no-waste habits. And that is because plastic downcycles: it can only be recycled a finite number of times before the polymers are too weak to be reused. After that, it inevitably becomes useless waste. REFUSE plastic whenever, wherever possible. Say no to plastic straws for example. > REDUCE your consumption of plastic goods and reduce your plastic footprint. > REUSE something you already have. Replace disposables and choose glass, stainless steel, or bamboo. > RECYCLE what you can’t refuse, reduce or reuse. This is a crucial topic for beauty brands when making packaging decisions… Sustainability is not only about what’s inside the bottle! Jeannie Jarnot is the founder of Beauty Heroes. 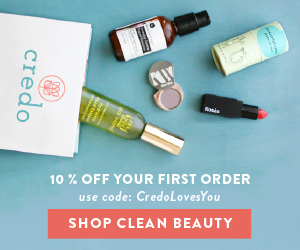 Beauty Heroes curates healthy beauty brands that you can shop on their website and also has a monthly subscription box that allows you to discover one Hero Product at a time. Jeannie is a beautiful person and her smile carries a genuine kindness to it. Her objective by creating Beauty Heroes was to slow down beauty consumption and connect people to products in an honest and inspirational way. Her presentation was on how to apply the Beauty Heroes slogan to your everyday life: use less, love more. When unsure: take your time. Go for a walk, sleep on it before making a decision. Practice with love even in difficult situations – it leads to less fear and anxiety and eventually, more love. Sarah was one of the speakers I was most excited about! I follow her Instagram religiously and love her personality and approach to a sustainable lifestyle and clean beauty. She introduces herself as a physician turned soap maker. Her brand Osmia Organics uses consciously sourced plants and mostly organic ingredients. In her presentation, Sarah asked herself: what’s in your hands to support a joyous and healthy lifestyle? After the Rs, here come the Ps! Products – you don’t need all of them. Return to your senses! I think most of the audience fell in love with Sarah. Someone asked her when her TedTalk was going to be. Count me in. First: her name is magical. Second: she’s such a gentle human being who radiates kindness. Cult-favorite Vapour Beauty creates a bridge between skincare and color. Their uncompromising standards start in their USDA Organic Lab. Their vision of integrity manifests in three guiding principles: Purity, Performance and Progress. The ultimate goal of Vapour is to express your inner radiance. For Krysia, “makeup is a choice” and beauty can be defined by “qualities that give pleasure to the senses and to the mind”. Yes. Infuse your day with intentions, co-create your day and welcome clarity. Fill your body with delicious and healthy food. Take some notes people. When you see Krysia’s complexion… Well, “I’ll have whatever she’s having!”. Joanne boasts a communicative energy and her smile illuminated the room! She’s real. She shared with us the personal story of how she started her haircare line Innersense and it resonated. It’s the love story of two hair professionals. It’s also the story of two parents, whose daughter was diagnosed with William Syndrome and had to look for healthier lifestyle alternatives. Through these struggles and difficult times, they learned to trust their inner sense. And that’s how the idea for an organic, simple, selfcare-centered haircare line emerged. Innersense was born. Joanne sees hair care as a series of ceremonies that connects us to the world around us and to ourselves. She noticed that hair stories and routines are connections, memories that people share, remember, link to a specific time in their life or feeling or smell. Haircare is powerful! She had us do a little exercise: pulling our hair at a 90 degree angle gently and hold it for a few seconds. Try it… Hold it… (wish I could see you now ;)). It’s surprisingly uplifting and centering at once! I’ve been doing it regularly since the class. Beautiful Kapua came all the way from Hawaii to share her story and the importance of protecting the land. The connection to nature is at the center of the Hawaiian culture and beliefs. ‘Aloha Aina’ means respect of the land, preservation. Tears started filling Kapua’s eyes when talking about how she witnessed farmers being displaced against their will, their land taken from them… We all got pretty emotional and shared something special and strong in this moment. For Kapua, it is a two-sided relationship: it starts with reflecting on what the earth brings us and then thinking about how we can give back to the earth. Anchored in this philosophy, Kapua created her skincare line called Honua (‘earth’). She believes that what we have in our backyards will always be better than chemicals and she grew up using botanicals and oils she found in nature to heal and nourish. Noni: antioxidant that is known for its wound-healing properties. It is a natural source of Vitamin C & Selenium. Laukahi: antibacterial properties, also good for high-blood pressure. She finished her presentation by offering us a Luau (traditional Hawaiian dance) and it was absolutely beautiful. I can’t think of a better way to end this master class. What an amazing day, full of learnings, emotions and positive vibes! Congrats to Jeannie for putting this together, it was fabulous and I can’t wait for the next one. If this preview got you excited too, make sure to follow Beauty Heroes on Instagram. In the meantime, if you have any other clean beauty events coming up, please share in the comments 🙂 I definitely want to do more. Wow, I can’t believe you did all of this in a single day! Sounds jam-packed. Thanks for sharing your notes with us.